петък, 30 януари 2009 г.
Synaxis of the Three Hierarchs: Basil the Great, Gregory the Theologian and John Chrysostom: During the eleventh century, disputes raged in Constantinople about which of the three hierarchs was the greatest. 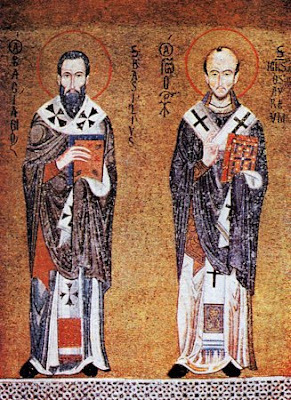 Some preferred St Basil, others honored St Gregory the Theologian, while a third group exalted St John Chrysostom. Dissension among Christians increased. Some called themselves Basilians, others referred to themselves as Gregorians, and others as Johnites. 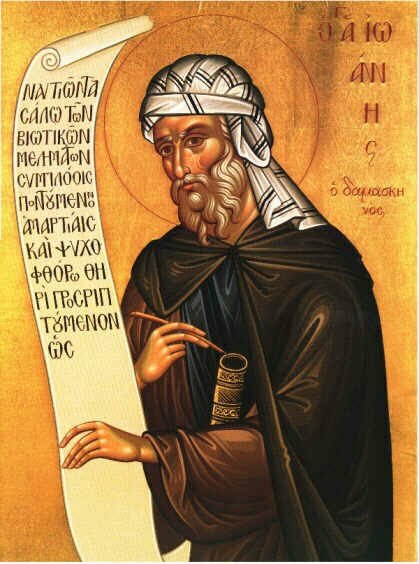 By the will of God, the three hierarchs appeared to St John the Bishop of Euchaita in the year 1084, and said that they were equal before God. "There are no divisions among us, and no opposition to one another." They ordered that the disputes should stop, and that their common commemoration should be celebrated on a single day. Bishop John chose January 30 for their joint Feast, thus ending the controversy and restoring peace. The Palatine Chapel (or Cappella Palatina) is part of the Palazzo dei Normanni (or Palazzo Reale) in Palermo. It was the private chapel of Roger II, who also built Cefalù cathedral. The stunning mosaics include scenes from the Old Testament of the Bible, events from the lives of Saints Peter and Paul, and other saints. Unfortunately the central image of Christ over the altar, and other mosaics in the apse were hidden behind scaffolding and sheeting on this visit, on account of restoration work. There is also extensive cosmati flooring and geometric inlay. The wall outside the chapel in covered in 19th century mosaics, in fascinating contrast to the Byzantine examples inside. The artists responsible for the chapels mosaics are thought to be the same that created those at La Martorana. Many of the biblical scenes in the Palatine Chapel are also featured at Monreale. Публикувано от Николай Гочев в 7:06 ч.